Kim Woo-bin celebrated his 29th birthday while taking a break from acting for cancer treatment. 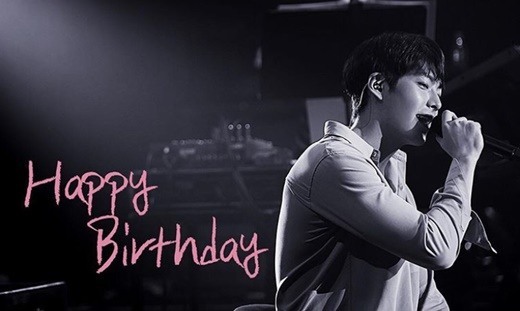 Kim’s agency Sidus HQ wished the actor a happy birthday and posted his photo on Instagram together with the message, "We wait that one day you will return as if nothing had happened. Happy 29th birthday." In May 2017, Kim was diagnosed with nasopharyngeal cancer, a disease in which cancer cells form in the tissues of the nasopharynx, a part of the throat behind the mouth and nasal cavity. The condition reportedly affects 1 in 100,000 people. Kim has taken a break from the public eye since the diagnosis to concentrate on his treatment. He wrote on his fan community website in December 2017 telling fans he had completed his fifth chemotherapy treatment and was slowly recovering. He said, "It will take some more time before I come back, but I promise you that I will get well and return as if nothing happened." Fans also expressed their support in eager anticipation of his return.